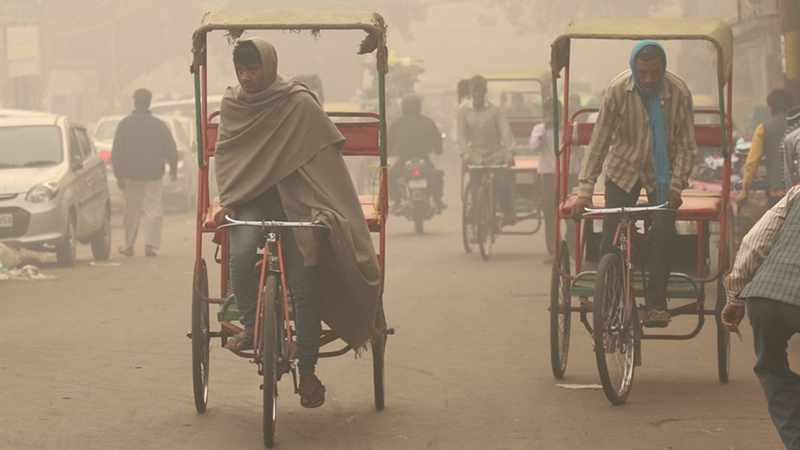 New Delhi, India – Towards the end of every year, the air quality in New Delhi deteriorates and the city gets engulfed in a thick haze. As the air falls into the “severe or hazardous category”, people wear masks and install air purifiers in their homes. Some prefer to stay indoors and avoid even stepping out for morning strolls. Late in November, the air quality in Delhi-National Capital Region (NCR) deteriorated. According to the Central Pollution Control Board, the overall air quality index was recorded at 320 – in the “very poor” category. Meena’s two sons and other children sit nearby. Her nine-year-old daughter sleeps under a blanket. “She is suffering from an eye infection,” Meena told Al Jazeera. Her family lives on a street near the Jama Masjid in old Delhi, one of the largest mosques in India. They are among the thousands of homeless people who are exposed to the city’s air pollution. Meena has been living on Delhi’s streets for more than 20 years. She has seen the city grow in terms of infrastructure and has also been witness to the intensified pollution. “What else can I do? Who will give me work in this city,” she asked. “I always dream of a home and of a better life for my children, but then I realise such dreams will never get fulfilled. 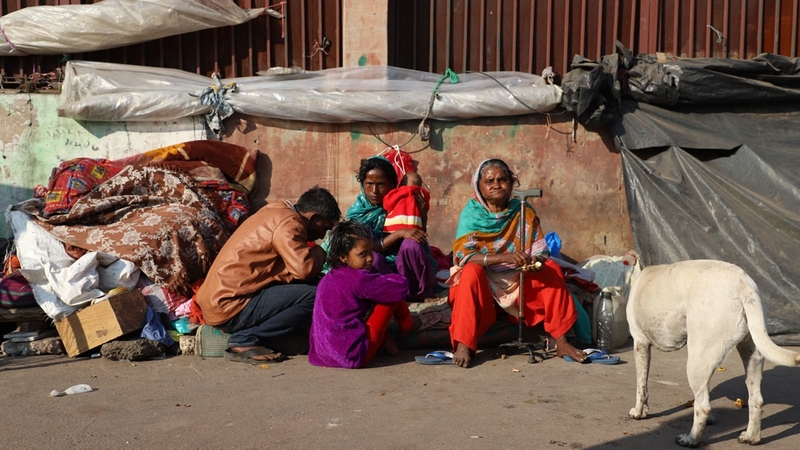 According to the 2011 census, New Delhi has around 46,000 homeless people – among the most of any Indian city. The United Nations Development Programme (UNDP) estimates there are more, around 56,000. “Homeless people are the most vulnerable people to this crisis and as a doctor, I believe they are in grave danger,” said Prashant Saxena, a pulmonologist at Max Hospital in Saket. “They are exposed to hazardous air pollution all the time and they can’t even afford pollution masks as they are too expensive and the government doesn’t provide them for free. “We had asked the Delhi Health Services to provide us 10,000 masks but only 1,000 masks were provided so far, which we have distributed among the homeless people in several parts of the city already. We are waiting for the rest of the masks and hope they will reach to us very soon,” said DUSIB board member Bipin Rai. “Due to the severe air pollution in the city, the patient flow to the hospital has increased by almost 25 percent in the past month. Every day … is full with patients complaining of bad throats, asthma and chronic obstructive pulmonary disease,” said doctor Neeraj Jain, who works in New Delhi’s Sir Ganga Ram Hospital. New Delhi’s primary pollution control and prevention agency, EPCA, has suggested prohibiting all non-CNG vehicles if pollution remains at severe levels. “The emergency plan is what is happening right now, which is when the pollution levels go very high. As per this plan – coal power plants, brick kilns, industries running on coal and biomass have been shut down. She added that there is also a “comprehensive action plan”, a year-round strategy. She added: “The government is giving incentives to farmers to buy equipment which will help them to mix the straw – a major agricultural waste – with the soil and not burn it.